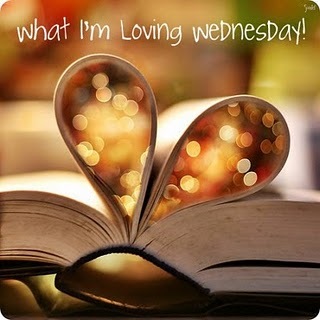 Then I Got To Thinking...: Wednesday: Lovin' & So What? I love "So What Wednesdays" with Shannon over at Life After I "Dew"
She's an adorable new mom - not to mention hilarious! if I love watching The Nanny every night before bed. I love Fran! if I am over-the-top excited about having my own desk at work. I'll have my own place to organize stuff! In every other job I have had, I always had to share & move. if TL and I text at least 50 times a few times during the day. We have a lot to talk about. if I drink 5 or 6 cups of tea a day. It's good for you. Right? if I have an obsession for chewing ice. By the time my teeth all fall out they will have the technology to fix 'em. the sunshine - even though it's a little windy and cold. my routine of waking up early. It's making me feel productive. the sweet people who read my blog. Got a message last night from a girl I went to high school with. She ready my post on happiness and she had the sweetest things to say about it. I love that she took the time to send me that note. It made my week. my mom. But I always love her. She's just great to talk to about anything and everything. my uggs. I wear them all the time. Cozy, warm, perfect for the chilly days. the girlfriends I have gotten close to in my new town. Last night we had dinner, drinks, and saw No Strings Attached and it was so fun. It was nice to chat with them about my first day of work. TL. He left me a note before work the other day & it made me feel really special. Marrying him was definitely the best decision I have made. Our movie theatre has 5 dollar ticket Tuesdays? (& 1 dollar popcorn) Pretty good, huh! My show before bed? anything on the food network; although sometimes it's just torture. Like when they show a really good lookin' sandwich or a great piece of cake-drool! you are an ice chewer?! oh my, i don't know if we can be friends anymore ;) jk! i'm also loving the sunshine today even though it's -5 outside. how fun that you had a girls night out last night!! I love getting up early too! ONe of the things I hate the most about being single - not having that person to text wheneer/wherever! And I'm loving my UGGs as well with the inch of ice we have here! I'm jealous of the awesome deal you got at your movie theater! My bf was just telling me last night to stop chewing so much ice. I cannot stop. Ha! I totally agree that I will just get brand new teeth in the future, along with new eyeballs when I go blind from wearing contacts too much! Totally with you about the UGGS! They are my BFF! P.S We are going to San Francisco July 7-9ish (somewhere around those dates...we so have to meet! How far are you from there? Oh the bf and I text each other all day long, we're 3 hours away so it's what helps keep me sane. I need to start drinking more tea, I bought some green tea a month or so ago I just keep forgetting to drink it! So excited for your new job! And so excited it's already going so well!!! I miss the sun. It's cold and cloudy here in the mid-west. I watch the Nanny too before I go to sleep. I actually will just keep it on, set the sleep time, and just fall asleep to it. I mean she has such a soothing voice right? J/K! Never a desk of your own? Congrats on your space!! Looks like a fabulous girls night out! what?! where on earth still has five dollar movies?! because i would just about move there simply for that fact! and im also sooo loving the weather here! I totally love the Nanny, too! And Golden Girls...does that make me 80?? Hahahaha. I eat ice all the time. My doctor said that it's because I have low iron. Maybe you should check into that?? My hubby and I text all day, too! I love it because it makes me feel like we still have SO much to say to each other! Glad to know I'm not the only one still watching the Nanny. I watch it before going to sleep too! I had my coworker get me a cup of ice today from starbucks so that I could have some ice to snack on... we are crazy!! great post girl! love everything you love! That was so sweet of your friend to take time out of her day to write you that letter, so sweet. That's so neat to have $5 movie night! New to your blog... can't wait to read more. I am a big ice cruncher too. I really want to see No Strings Attached. Was it any good? Our local theater has $1 Tuesday when the popcorn and drinks are $1.